At Zeolearn, we'd like to offer you the platform to share your valuable thoughts. 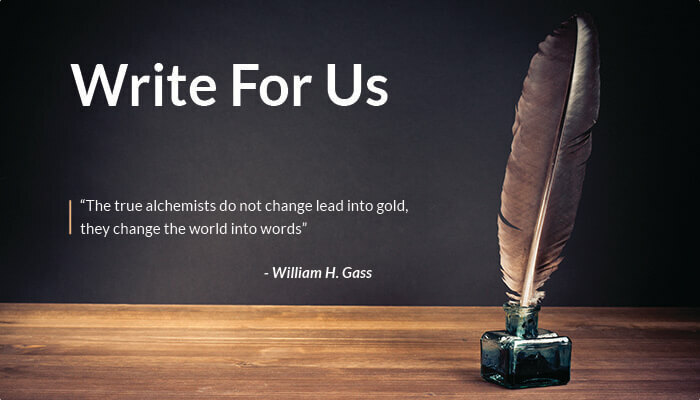 We, therefore, welcome our avid readers, tech bloggers, and developers to contribute to the blog. Educate the ZeoMag readers with a fresh perspective on the topics related to our courses. We are currently looking for articles on web/software development: AngularJS, ReactJS, NodeJS, Django, and Data Science (includes machine learning, data science, Python, deep learning). If you'd like to have an article featured on ZeoMag, there are three ways you can get in touch with us. Email your ideas/article outlines to editor@zeolearn.com, along with your two-sentence bio. Fill the blog ideas submission form present at the top right corner. Click on the "START WRITING" button on the top right section. If your content seems appealing and well in line with our blog categories, we shall reach out to you. Readability- Make your post well-formatted and scannable. Include headers, sub-headers, use bold text for emphasis or use numbered or bulleted lists. Double check - Please edit and proofread your post carefully. Originality - All contents should be original, and between 700 and 2000 words. Credits - Add a two-sentence credit at the end of the post which begins with your name and can include one link. If you have emailed the content to editor@zeolearn.com, be patient. If you've done the best job possible, and triple checked your blog post so that it's flawless, it should be featured here soon. By agreeing to our terms and conditions, you consent to submit non-remunerated articles. You also agree that by submitting blog posts to us you are not eligible for any employee benefit plans or programs.These submissions will not authorize you as our representative or agent and will not have legal implications. Once you submit the content to us, we have complete right over it - we may re-publish or distribute the content for marketing and promotional purposes, online or offline, in any medium and mode of delivery.